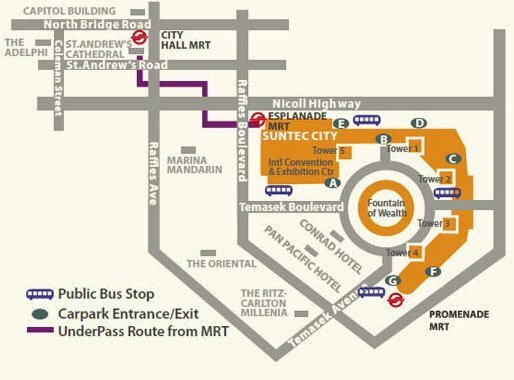 Suntec City Tower – office space for sale. 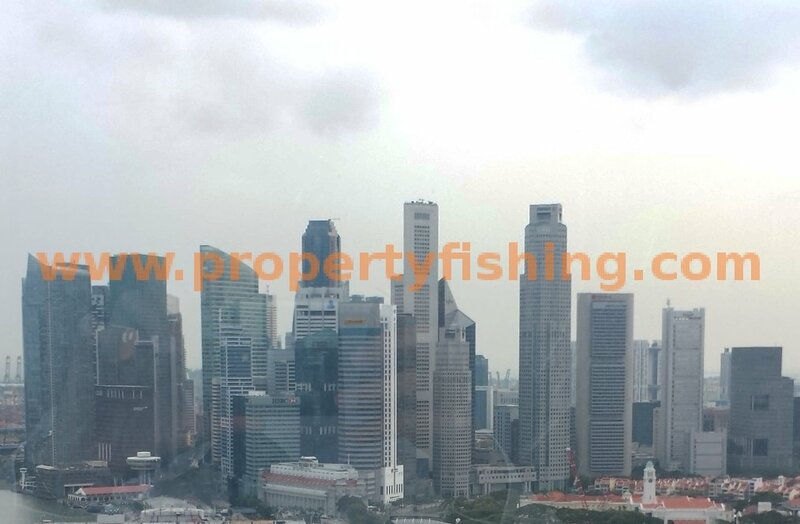 Spacious 11,840 sqft unit on a high floor with beautiful panoramic views of the Singapore River, Raffles Place and Esplanade, as well as the Sports Hub and Kallang Basin. Suntec City Towers comprise five office towers, Towers One to Five, within the Suntec City commercial development. Suntec City is one of the largest commercial developments in Singapore, with retail (Suntec City Mall) and a convention centre (Suntec Singapore International Convention and Exhibition Centre) in addition to the offices. 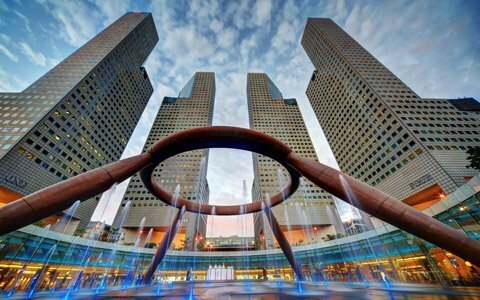 In total, Suntec City Towers offers about 2.3 million sqft of office space across four 45-storey towers and one 18-storey tower. The latter has 28,000 sqft of net lettable floor area on each floor while the 45-storey towers consist of floor plates ranging from 10,000-14,000 sqft. Its prime location within the Marina Centre subzone of Singapore’s Downtown Core has made it popular with companies in the financial services, IT, marine, insurance, and management consultancy industries. It is easily accessible by car and public transport, and is within walking distance of 3 MRT stations with a total of 4 different MRT lines. It is just a 5 minute sheltered walk from Esplanade (Circle Line) and Promenade (Circle and Downtown Lines) MRT stations, and a 10 minute walk via Citylink Mall underpass from City Hall (North-South and East-West Lines) MRT station. Suntec City was designed by Tsao & McKown Architects based on Chinese geomancy (feng shui). The five office towers and the convention center are arranged so that they look like a left hand when viewed from above, with Tower One to Four (45-storeys) representing the four fingers and Tower 5 (18-storeys) representing the thumb. 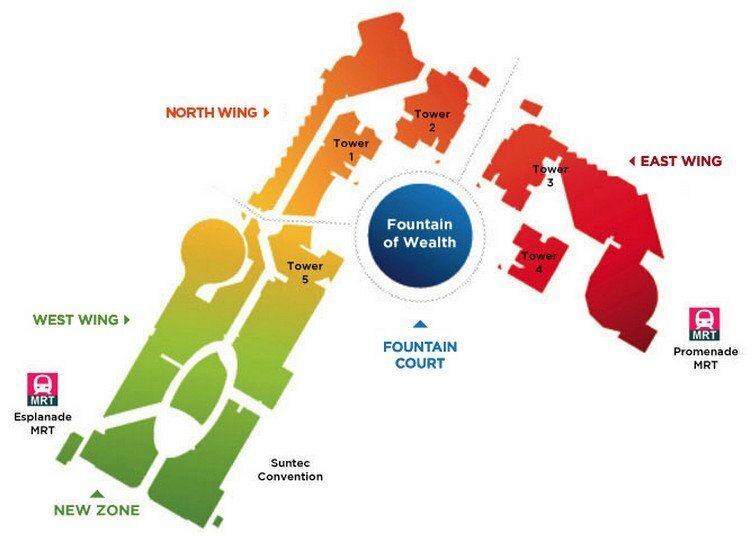 The Fountain of Wealth symbolises a golden ring in the palm of the hand.